Police say Miguel Gomez and Alicia Gonzalez drove a vehicle through the doors of a store and made off with 21 pistols. Nine of those have yet to be recovered by police. 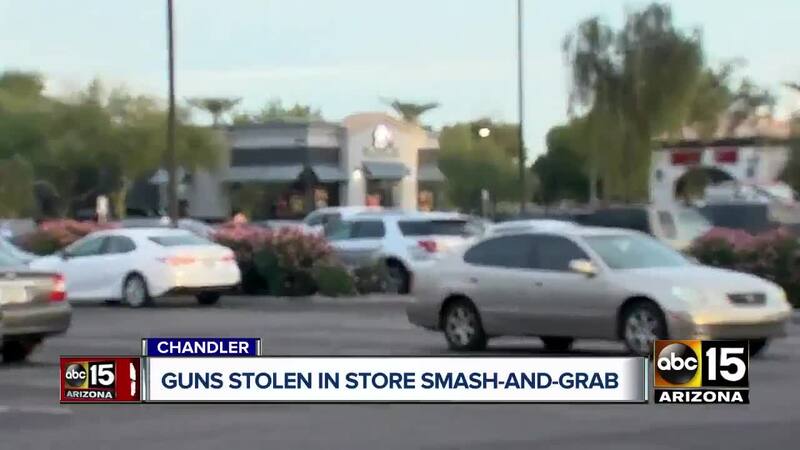 Two people have been arrested after driving through the entrance of a Chandler store and stealing nearly two dozen handguns, police say. 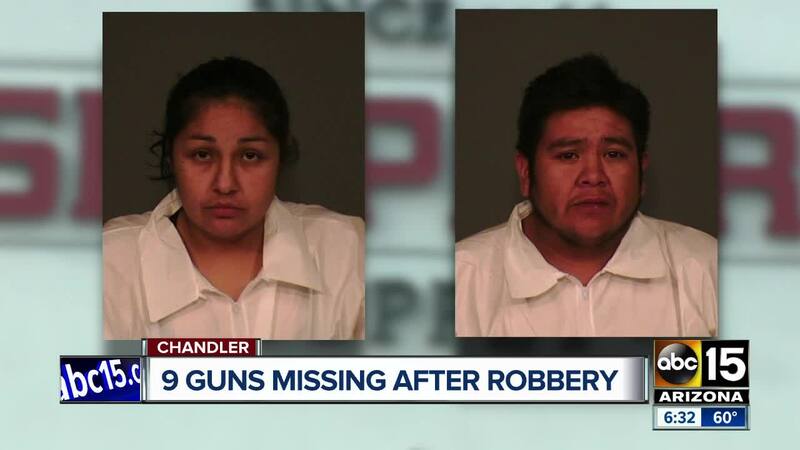 Of the 21 guns stolen, 12 have been recovered, Chandler police say. Police are working with the Bureau of Alcohol, Tobacco, and Firearms to locate the missing guns.